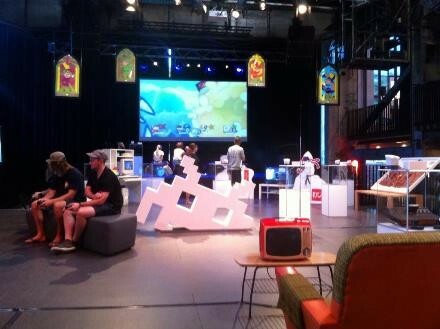 The Brisbane Powerhouse will play host to the IRL (In Real Life) Digital Festival and display a convergence of electronics and art for the next ten days. The event will feature interactive art and video game exhibits and will be used as an opportunity to showcase Brisbane based designers, artists and developers. Other attractions include digitally inspired music events, a giant installation which imitates a power station and virtual reality experiences. The Brisbane Powerhouse is home to the festival from May 7 to 17. Brisbane Powerhouse artistic director Kris Stewart says the venue was the ‘perfect’ place to host a festival of this kind. “What we try and do is be really contemporary and modern, we like to be very Brisbane in this moment in history,” he said. “We’re not a museum that’s really backward looking, we are really modern and focused on the future. He says the festival was truly unique to a place like Brisbane. “You have things like Supanova and other pop culture conventions and there’s been a few interactive conferences and stuff that’s been a bit more industry focused,” he said. “For something that ranges from things like video games all the way through to Tom Thum and the Queensland Symphony Orchestra doing a beat boxing orchestra event through to coming to experience virtual reality technology. 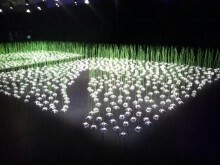 Meadow is one of the many unique pieces which blends art with electronics. “So to me the work that I created is trying to translate digital rendering of grass that you’d see on screen or on a video game or something turning it into something real,” he said. He says to be given an opportunity to showcase his work in such an accessible way is rare. “It’s great because having access to a place this big doesn’t come along very much and having the support of the festival like this is really helpful,” he said. Developer Warren Armstrong, who designed the software ‘The Drawing Room’ for the virtual reality headset Oculus Rift, says it is brilliant to have the chance to showcase technology many people have never seen before. “I pretty much developed it specifically for IRL,” he said. Mr Stewart says he hopes a successful festival will be the start of a new trend in Brisbane. “I’m looking at this as a real kind of proof of concept that it really suits Brisbane, that audiences love it,” he said. “There is a great place for it going forward and I’d love to see more of it, I’d love for Brisbane to be part of it, I’d love for Brisbane to be the Austin of the southern hemisphere. 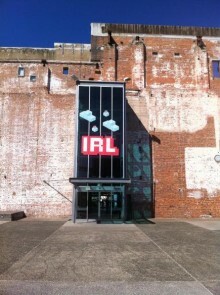 IRL Digital Media Festival runs at the Brisbane Powerhouse from May 7 to 17.